A steep cascade/free fall over a rounded rock face, steeper near the bottom, ending in a series of cascades over the jumble of rocks at the bottom. 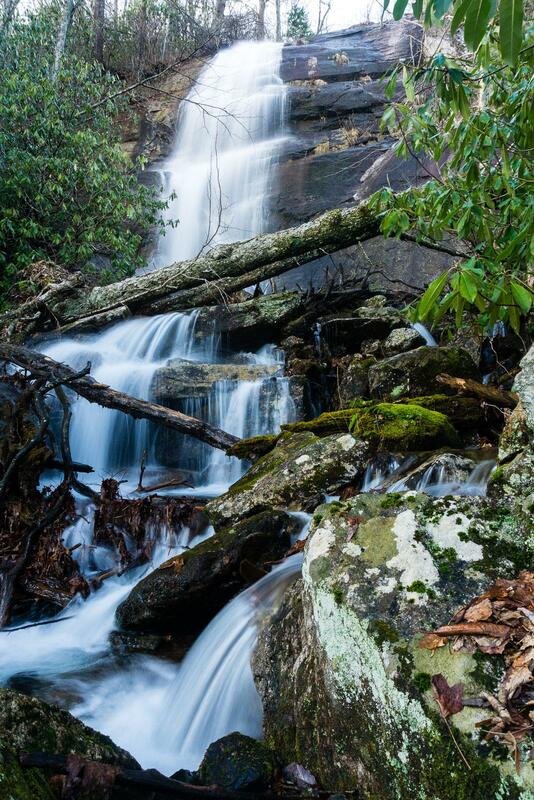 The waterfall is located at the head of a cirque of sorts, with smaller streams coming down the rocks to the right. Flow is best in wet weather.